2018-2019 Teacher Grant Proposals – "Fostering Innovation, Creativity and Excellence for the Children of School District 25"
December 3rd – Grant Selection Notification is mailed. The ABC/25 Foundation Teacher Grants are intended to fund a variety of programs and projects that would not be possible under current school district budget constraints. In 2017-2018, the foundation awarded 41 Karen Wessel Bar (KWB) Grants totaling $24,527.21, and 8 Marian Elliot (ME) Grants totaling $18,879.57. Proposed Grant budgets for KWB Grants should not exceed $1,500. Proposed Grant budgets for ME Grants should be $1,500-$3,000. Grant award items must be ordered by February 15, 2019; all unused funds will be returned to the Foundation’s grant program. Proposals can be submitted by an individual teacher, several teachers, or teachers and administrative partner; however, there should be one teacher identified as the primary contact for the grant proposal. Multiple grant proposals may be submitted; each must be registered in order to obtain a cover sheet. Note in the proposal if there are supplies and resources that are already available or committed to support this project. New Submission requirement – Please submit ONE printed copy of your proposal, all attachments, and cover sheet paper clipped together to Dr. Bein’s office at Central Administration 1200 S. Dunton by 4:00 PM, Friday, OCTOBER 12th. There will be no exceptions to this deadline. The Grant Director from ABC/25 Foundation reviews all grants to ensure that all references to schools, teachers, etc are removed from the proposal prior to distributing the grants to the Grant Review Committee. The Grant Director does not have a vote on grants selected. The grants are also reviewed by the Assistant Superintendent of Learning and the Director of Technology; neither of whom has a vote on grant selection but serve to advise the Grant Review Committee on district policies and curriculum. The Grant Review Committee is comprised of nine representatives, one from each District 25 school. Each representative reads and scores all of the grant proposals on a scale of 1-4 based on the Rubric. The scoring data is then compiled and analyzed. Top scoring grants are awarded, low scoring grants are declined. Grants falling between the extremes are discussed in a grant selection meeting attended by all nine representatives. Grant proposals receiving a majority vote after discussion are awarded. Cover Sheet – Register your Grant (via Google Form) and obtain a Cover Sheet. Staff may apply for multiple grants, but each grant proposal must be registered separately. Once you complete the form, click on the “SUBMIT” button. You will automatically be sent a confirmation email with PDF copy of the form submitted. If you do not receive a confirmation email, please contact abc25grants@gmail.com. Print the completed cover sheet for your proposal and have your principal initial the cover sheet and place it on the first page of your proposal. There will not be a formal grant writing workshop for the 2018-2019 school year. If, however, you need some inspiration, check out those grants which were previously funded HERE, or reach out to abc25grants@gmail.com to ask any questions you may have. We’re happy to help! Grade Group – Please indicate what grade group(s) your proposal will impact: K-2, 3-5, or 6-8. Total Proposal Requested Amount = Project Sub-Total + S&H – See Financial Summary instructions for more information. Respond to the questions below. Remember, the majority of the board members are not educators; use appropriate language and avoid professional jargon. 2. Impact on Learning – How will this proposal impact student learning and/or teacher instruction? 3. Support of ABC/25 Mission and D25 Curriculum – How does this proposal support the District 25 curriculum and ABC/25 Foundation mission? (See Grant Guidelines) Be sure to be specific about how your idea is innovative and fosters the innovation, creativity, and excellence for our students! Itemized budget – be sure to itemize shipping and handling fees separately and include it in the total proposal requested amount. *New requirement* – Technology related equipment requires your completed quote be reviewed and approved by Tech25 prior to submitting your grant proposal (please read “Technology Related Equipment” below). Utilize your approved quote information to build the itemized budget. 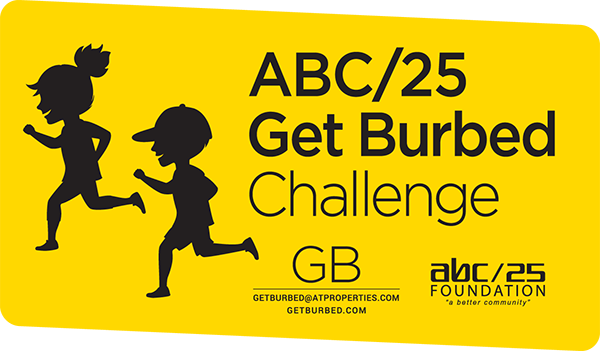 The ABC/25 Foundation will pay for shipping and handling costs ONLY IF they are included in the original grant proposal. If the shipping and handling dollar amount is not included in the proposal, the grant winner’s school will be charged the shipping and handling fees. The Foundation will not support the on-going cost of items. Some examples are subscriptions, consumables (replacement items), etc. All ABC/25 grant quotes must be reviewed by Tech 25 to ensure compatibility and support, before being submitted. All completed quotes should include product name and description, quantity, vendor name and shipping/ delivery costs. They can be sent to tech25@sd25.org with a subject heading of “ABC/25 Tech Proposal – Last Name.” Requests will be processed within 3-5 days and must be submitted to Tech no later than September 22. Any technology-related grant proposal that does not have a quote approved by Tech25 CANNOT be considered. District 25 is continually looking to add access to equipment for staff and student use. In order to provide a consistent and unified process, please refrain from requesting iPads, laptops, or Chromebooks that will simply be additional machines for your room or building. Exceptions to this may include if the device is a specific and significant part of a different piece of equipment (for example, the laptop or iPad is a controller or collects data for another unit). If you feel it is helpful for the committee to see additional information in order to understand the proposal better, please include a list of website links or copies of catalog pages. Examples include product descriptions, helpful links or pictures that help illustrate how a product is used. Do not include product reviews. Please remove (or black out) anything that identifies THE SCHOOL, MASCOTS, OR INDIVIDUALS from the attachments. Click here to see scoring sheet. Click here for the form. You must register each grant proposal separately.